Finally! 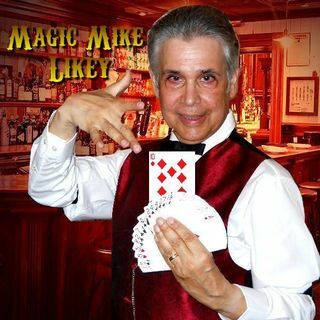 After popular demand, Magic Mike Likey, popular children's entertainer, has released his first brand-new studio album in 5 years! Featuring seven new songs plus three favorites, this CD is destined to become a classic of children's music! Songs: "The Bat", "The Ballad Of Young Magic Mike", ... See More "The Noise Monster Bop", "Gabriole The Giggling Pig", "Family Day At The Mall", "Just Say No", "Pikcher Land", PLUS "Magic Mike's Castle TV-Theme", "Magic Mike And Company TV-Theme", "The New Magic Mike's Castle Webcast Theme". Kids and adults alike will love this album. This brand-new digital release contains a myriad of compositions from the '70's and '80's that were never-before-released. Back when Magic Mike Likey was known as Shawn Stevens, there were thousands of songs in raw form (some only written words with chords) that never saw the light of day, neither released nor ... See More performed. These treasures represent another clue to Michael's heart, soul, and perspectives as a youth and young adult. There are a few brand-new compositions here, written, performed, and produced this year; (2017) can you spot which they are? Enjoy these gems from the vault!